I don't think we ever reported back to our loyal blog readers with regard to the fundraising efforts of our team, "Monarchists," in the 2012 World Series of Birding. Our team won the coveted Cape Island Cup for finding the greatest number of birds just birding Cape Island. There's a full summary online here: http://www.mgnature.com/WSB/2012Results.html. Thanks to all the hardworking members of the team and, especially, to all who made contributions to support our future research efforts. 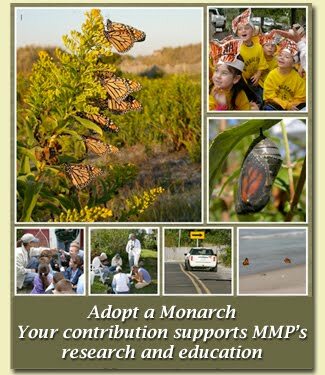 Monarchs are being seen around Cape May, still probably 2 generations away from those that we will study in migration this fall. Our field season begins on September 1. We hope to see you all at the Point!